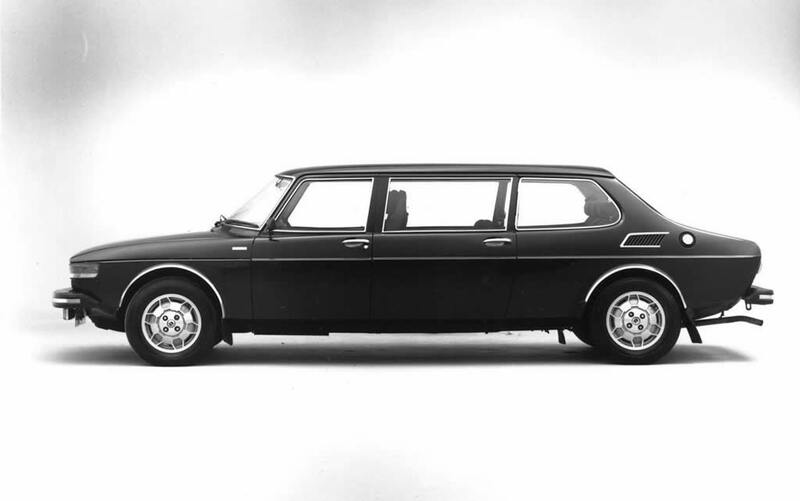 This is possibly the most famous of all stretched Saabs 99: the 99 especially built for Swedish King Carl XVI Gustaf’s visit to the USA in 1976. 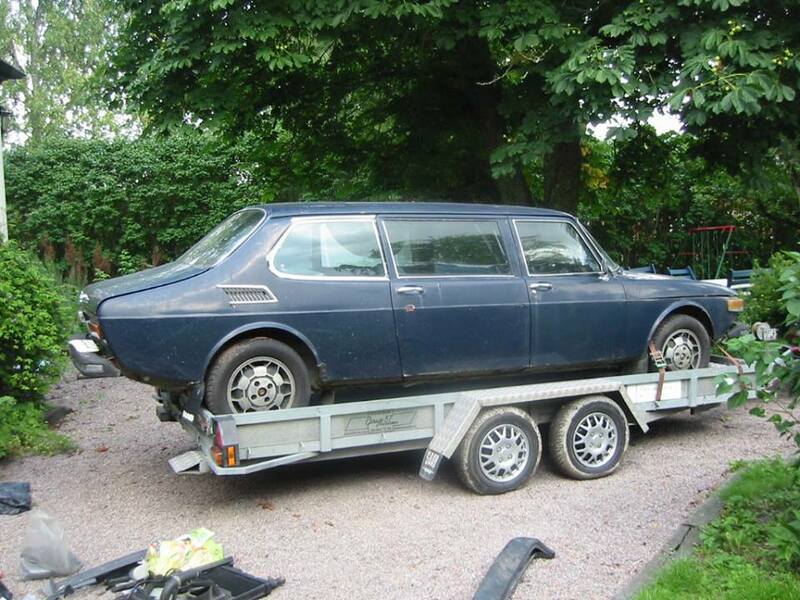 This 99 was made of a two door and a four door version, put together by Heinels Malmö. Therefor it is actually more of a predecessor of the later 99 Finlandia. This 99 has a 118 BHP injection engine, automatic gearbox, power steering and lots more. It measures 70 cm longer than a regular 99. The color obviously is Royal Blue – painted to order. 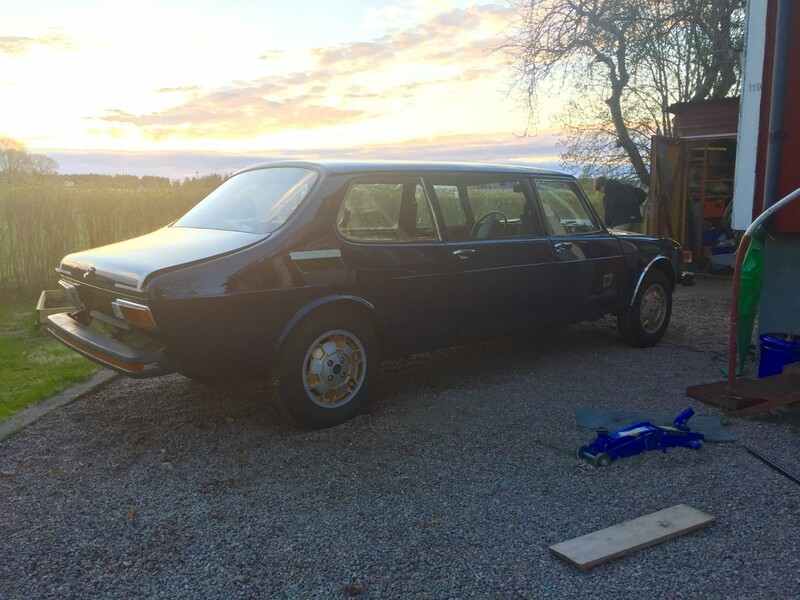 It is now being restored in Sweden.